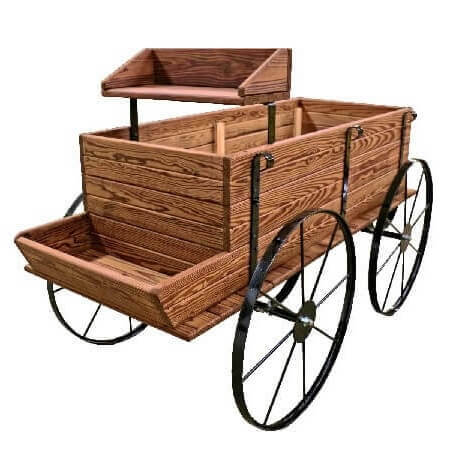 A Western Wagon Display will evoke fantasies of the old west and spark the imagination of your consumers. 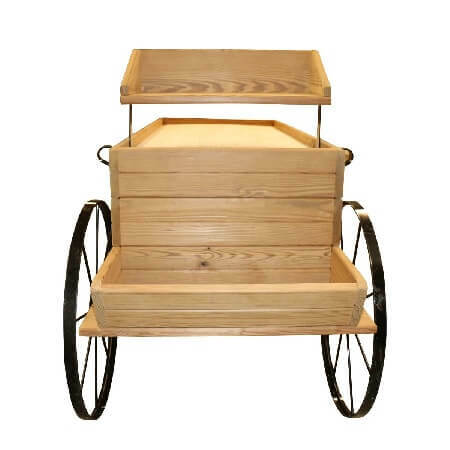 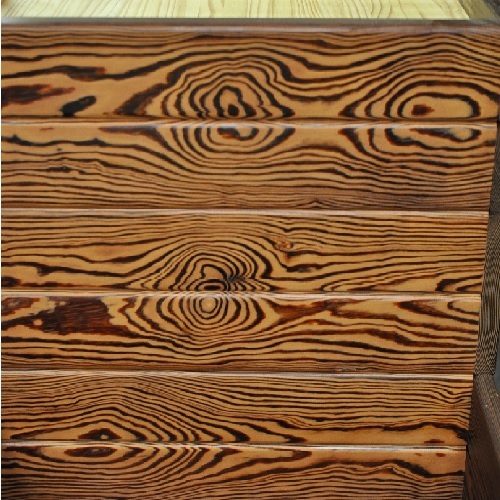 With such a powerful reaction, customers are sure to be enchanted with products displayed on these wood wagons. 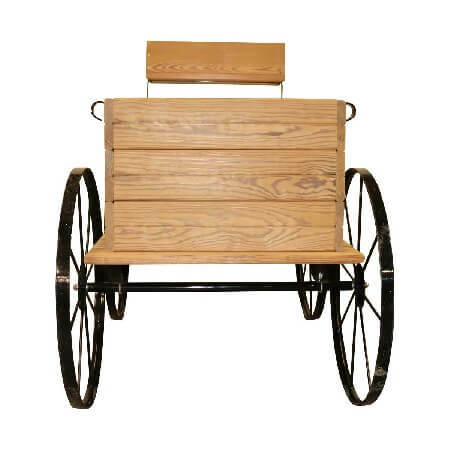 This wood cart is equipped with 30" wheels and all steel components have been powder coated for extra durability. 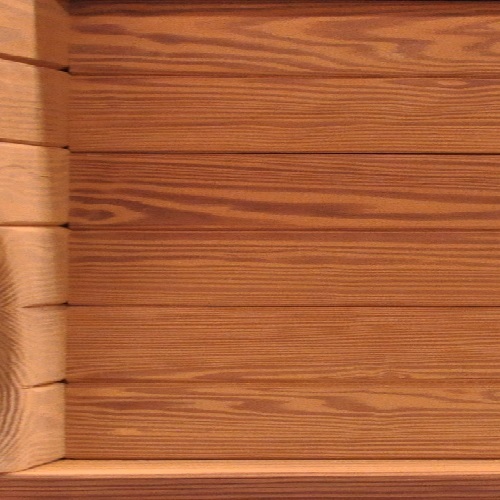 Add an optional metal hitch for extra authentic appeal. 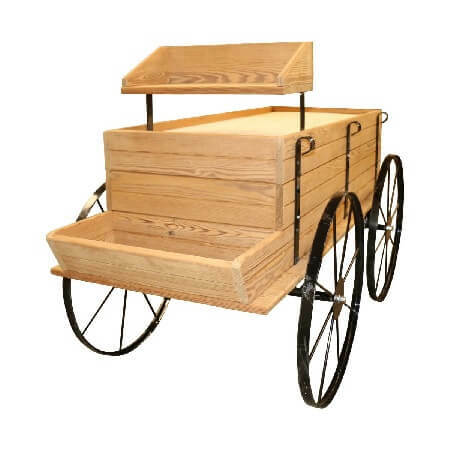 Renew your landscape decor by adding this wooden cart filled with beautiful flowers and other eye-catching greenery. 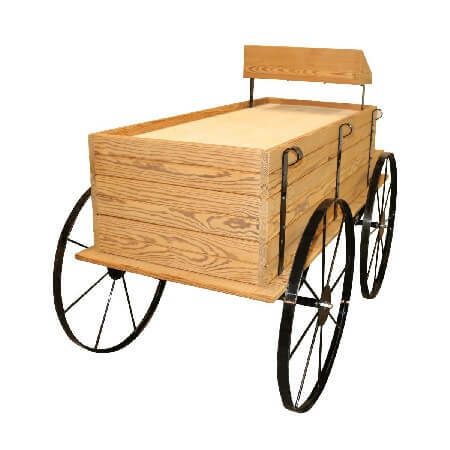 Brighten your displays by adding a wooden cart and purchase yours now! 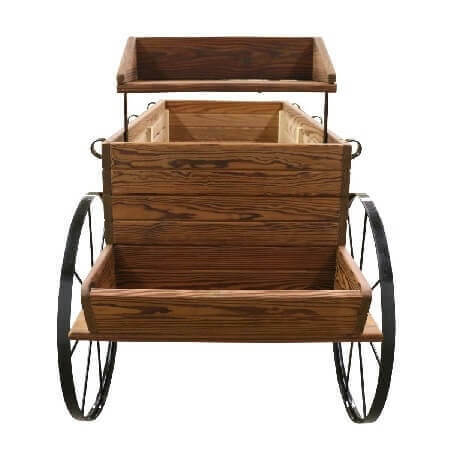 Overall: Length: 72" - Width 36" - Height 38"